Chat With Us // We are here to help. Hock offers OEM/ODM services to its clients. Branding, embroidery and other decorations as OEM/ODM service. We control quality by the latest trends in the international market. 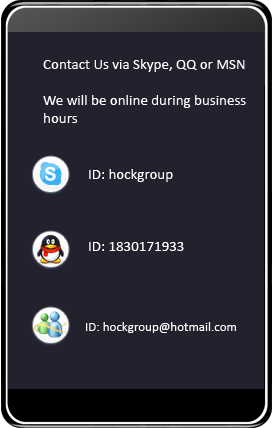 You can click on the below link (image) to chat with our marketing representative . If we are offline, you can leave us a message by clicking the above link(image). To find out more about our products or to place order please contact our marketing representative today. Copyright © 2010 - HOCK International Group Limited - All rights reserved.